DotaBlast’s ProxyPL talked to David “GoDz” Parker about the upcoming events in Manila, SEA Dota, the Major invites, the shortcomings of the roster lock system, and the hair-raising Secret-EG-DC shuffle. 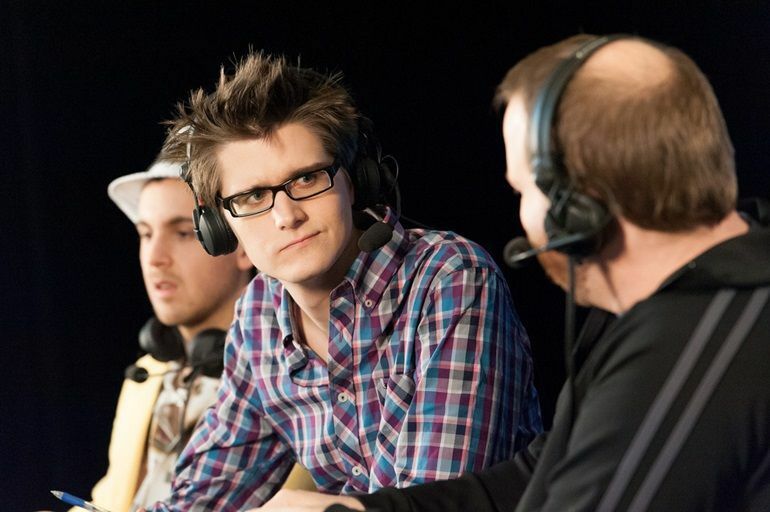 David discussed his love for traveling and Ayesee’s comeback to casting, and reflected on the seemingly volatile fate of star-studded teams and the bigger issues the Dota 2 ecosystem is facing. 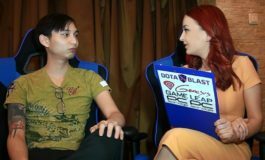 The GoDz interview was conducted by ProxyPL for DotaBlast, on April 5th. 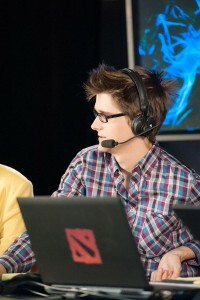 David “GoDz” Parker is a professional Dota 2 commentator and one of the Beyond The Summit founders. GoDz is a long-standing member of the scene, who has been active since 2011. 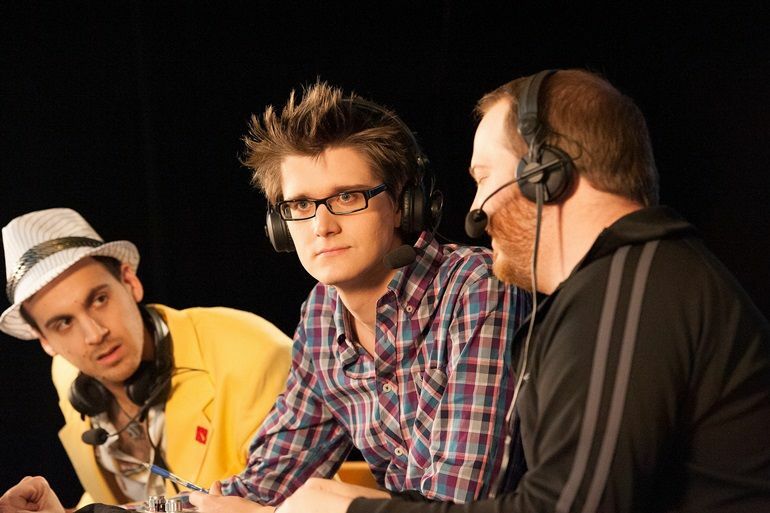 In 2013, he partnered up with David “LD” Gorman and founded Beyond the Summit, currently one of the biggest broadcasting studios in all of esports. Being an Aussie, David follows the Southeast Asian Dota 2 scene very closely and is an expert when it comes to the teams and play-styles from that region. With ESL One Manila and the SEA Major coming up, as well as SEA teams performing better than ever, ProxyPL picked David’s brain on those and some other topics. DotaBlast: How’s it going? I’ve heard you have a very busy month ahead of you. David “GoDz” Parker: I’m doing great. There’s a few exciting Dota 2 events coming up that I’ll be attending, as well as a lot of developments here in L.A. with our new studios, but overall in fantastic spirits! DotaBlast: Nice to hear that! What developments are you talking about? Anything exciting coming up from BTS? David “GoDz” Parker: Part of those plans involve The Summit 5 of course, we’re in the early stages of getting things ready for the next edition of this series. We’re also hoping to improve upon past coverage hubs we did for the Valve Major qualifiers which has been a key focus over the past few weeks; trying to avoid planning things just a few days in advance and booking last minute flights, which is often hard because the details of those qualifiers are such a mystery. I grew up in a number of places, leaving Australia when I was only 5 years old, and spent time living in Texas, Singapore, Spain, and Australia as well as just generally prioritizing taking trips and adventures when and where possible throughout my studies. DotaBlast: So, it looks like the coverage of the Major qualifiers will be better than ever this time around. If I’m not mistaken, you are going to visit three continents this month. Do you like traveling? Do you try to go out a bit and explore the cities you visit thanks to your job? David “GoDz” Parker: I personally love traveling. I grew up in a number of places, leaving Australia when I was only 5 years old, and spent time living in Texas, Singapore, Spain, and Australia, as well as just generally prioritizing taking trips and adventures when and where possible throughout my studies. For esports events, I don’t often get to explore the cities because so often we’re flying in the day before the event and flying out the day after. Also, the main focus is always on doing the best performance possible at the event, so downtime is generally spent resting at the hotel (sleep is often a precious commodity at LANs), preparing notes for the following day, and just doing general research and preparation. Some of my favorite events have been when the venue or hotel is located in an interesting part of the city, such as GameShow, when we were situated in Old Town Vilnius. The main time we aren’t at the hotel or venue is when we’re eating. DotaBlast: I recall someone from the BTS crew saying that you aren’t always staying at the house in LA. Do you go back to Australia when you are not there or maybe just go on some trips? Do you work remotely during that time? How long are those periods and do you schedule them in any specific way? David “GoDz” Parker: Yeah, I still spend a decent amount of time back in Australia working remotely sometimes. It has its benefits as far as keeping me inspired having these constant changes of scenery, and it’s often hard for me because my family and friends are spread so much globally, so it does allow me to stay close to them. It’s usually scheduled around important events and broadcasts that we’re doing in LA, so I’ll always be out here in LA when we’re planning or doing Summits and coverage hubs, but sometimes during downtime after a Major or TI I’ll spend time traveling. Traveling is just a part of who I am, I shudder to think how many hours I’ve spent the last couple of years on planes and living out of hotel rooms, but I’m living my dream and traveling is a part of that dream, so no complaints here. DotaBlast: Your first trip this month will be to the StarLadder i-League Invitational. BTS will cover the event and you are bringing a very interesting crew to Kiev. Can you walk us through the talent lineup and why you decided to pick those people? David “GoDz” Parker: Yeah, I’m really hyped for this event. I’ve been talking to Ayesee for months now to try and get him to an event. Generally, it was always too last minute or had some conflict with his regular work at GGA so it wasn’t possible, and unfortunately a lot of these events don’t give much lead-up time to confirm talent, but everything pieced together perfectly to get Aaron out to Kiev. Apart from that, people probably aren’t too surprised to see the regular BTS faces going, and we’re also bringing in Fogged and Ryuu who are both current/ex-professional players who bring a lot in terms of understanding team mentality and game analysis. 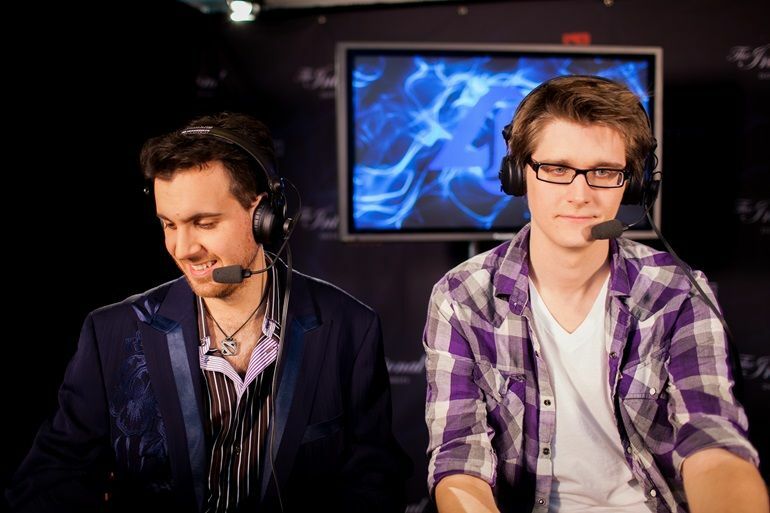 We’ve had Ioannis involved casting at the past Summit and he’s amazing on any panel. We’ve worked with Ayesee in the past, and NOT had issues with him. (laughs) He’s a great guy to have around at events. DotaBlast: It will be very nice to hear Ayesee once again! Where did you get the idea to get him out of that cave he has been hiding in and bring him back to casting? David “GoDz” Parker: We’ve worked with Ayesee in the past, and NOT had issues with him. (laughs) He’s a great guy to have around at events, and brings a real professional touch as far as his background in radio and even after he transitioned past casting at GGA, we stayed in touch and I would always contact him if an opportunity or event came up that I thought would be a good fit for his skill set. DotaBlast: Looking at the event itself, StarLadder i-League Invitational seems to be a last chance tournament for some teams to potentially secure an invite to the Major with an impressive performance. Who do you feel has a chance to receive an invite to the Manila Major? David “GoDz” Parker: The only team I’m confident in getting a direct invite to the Manila Major out of the teams competing is MVP.Phoenix, which makes the event very interesting as far as the narrative that the other seven teams will be competing to secure a direct invite to that Major. With how competitive and brutal the European qualifiers are especially, teams such as Alliance, Vega, and hopefully-soon-to-be-announced-other-invites will be looking to try and make their arguments for a direct invite. I imagine the event will influence at least one or two of those invite slots. I think any team who wins Starladder is almost guaranteed an invite to the next Major. I don’t think it’s a fair way to look at teams as far as the region as a whole under-performing, but rather they should all be evaluated individually. DotaBlast: With how poorly Chinese teams did in Shanghai, do you think it would be fair to invite any Chinese teams to Manila? Even if they win this StarLadder? David “GoDz” Parker: I think any team who wins Starladder is almost guaranteed an invite to the next Major. I don’t think it’s a fair way to look at teams as far as the region as a whole under-performing, but rather they should all be evaluated individually. Alliance winning WCA secured them an invite to Shanghai, so I imagine Starladder could function very similarly for Manila. I imagine there’s a high chance of one Chinese invite slot to the next Major, problem is no team has stood out from the pack with Newbee, EHOME and VG.R all getting decent results. DotaBlast: Let’s talk a bit about what is about to go down in Manila in a few weeks. We’ve never seen a major tournament being organized in SEA and now, all of a sudden, we get two huge events. What do you think about that location? Is the infrastructure good enough? 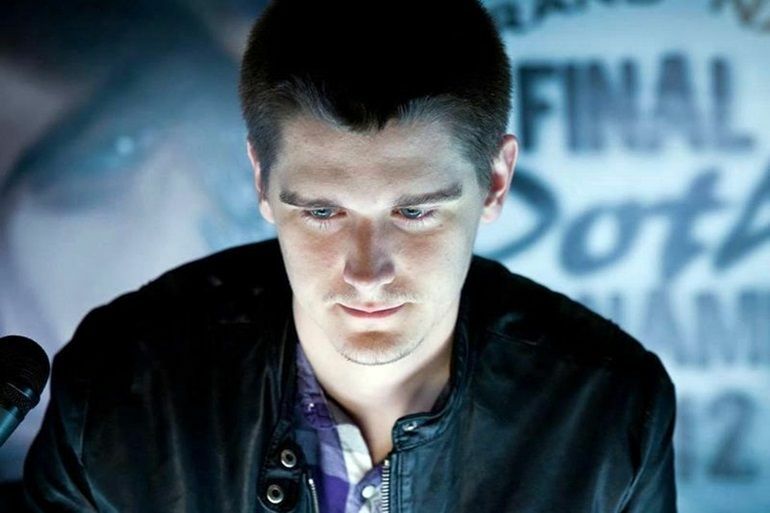 David “GoDz” Parker: Manila is the most f*cking hype city imaginable to host a Dota 2 event! The fans there are absolutely insane when it comes to supporting Dota 2 celebrities, big name teams and players, and just appreciating good Dota. I can’t wait. The infrastructure has always been a challenge, but smaller scale SEA-only LANs have been done out of Philippines successfully in the past, so it’s definitely possible to pull off. Some of my best LAN experiences are from going to Manila, so I’m really thrilled to see ESL One and a Valve Major go there. Manila is the most f*cking hype city imaginable to host a Dota 2 event! DotaBlast: So, what can we expect from the crowd at those events? Celebrities in the front seats? A ton of amazing cosplay? Also, do you expect people to turn out during the weekdays as well? David “GoDz” Parker: The atmosphere is just going to be something else. Fans will get right into it all, as far as cosplaying and all, but more than anything they just want to see their favorite players and teams compete. There’ll be lines for days for any autograph signing sessions or chances to get a photo with any of the big name players and during matches, expect huge electricity in the venue. I think Manila may well be the exception to the rule as far as being able to create an awesome atmosphere even on weekdays for a LAN event. DotaBlast: Do you like the fact that both events will take place in the same city? If you were to suggest another location in the SEA region what would you go for? David “GoDz” Parker: I think it’s definitely a bit unfortunate to have back-to-back events so closely in the same city, as it does miss an opportunity for one of them to be hosted elsewhere. The other great locations for Dota would probably be Kuala Lumpur, Singapore, or Bangkok. 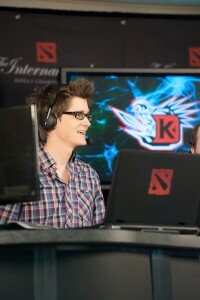 Each has a pretty big Dota following (KL especially), and are great locations for such an event. A lot just comes down to the logistics of finding a good venue and trying to plan things far enough in advance. DotaBlast: What impact do you think two events of this magnitude in such close proximity will have on the SEA Dota? David “GoDz” Parker: It’s going to be a huge boost in exposure for the scene. Already teams are motivated and improving lots, and the recent success of MVP and Fnatic will just continue to drive the scene forward. For the fans, it gives them more reasons to continue to follow and support the scene as well when they get these events in their backyard. DotaBlast: Speaking of MVP and Fnatic, they have both been on fire, placing well above expectations at the Shanghai Major. MVP followed that up with a win in Croatia, at Dota Pit. Do you think there was something specific that made the SEA region perform better or was it just two teams that happened to be from SEA doing well at the same time? David “GoDz” Parker: I definitely believe that individually motivated players and teams who have the right skilled players will find success. I think as far as the SEA region goes, the main thing these teams have in common is that they were underrated on an International level and also teams underestimated them. Apart from that, both teams have their own distinct play-styles and hero picks and I think their success speaks more to the individual drive of these teams rather than something specific about the SEA region, which definitely remains an overlooked region. On paper, both MVP and Fnatic deserve an invite to the next Major if there are eight invites, so we may actually see four SEA teams there. DotaBlast: With MVP and Fnatic performing so well recently, how many SEA teams do you expect at the Manila Major? Realistically, do you think that there are SEA teams other than MVP and Fnatic that could compete on an international level? David “GoDz” Parker: I think the main team that stands out to me is TnC. They lack experience competing at big events and LANs, but they have the right team composition and I believe they will likely be the next big breakout team for SEA. On paper, both MVP and Fnatic deserve an invite to the next Major if there are eight invites, so we may actually see four SEA teams there. DotaBlast: That would be something! Mushi has announced that he is taking a short break from competitive gaming due to some health issues. 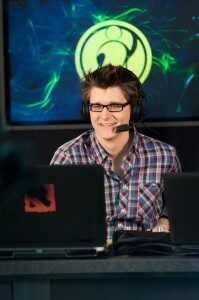 However, regardless of that, Fnatic has been dominating in the region without him. What makes Fnatic so strong? Could you see Fnatic competing at major events on the same level they did during Shanghai without Mushi? David “GoDz” Parker: With any top professional Dota team, no single player is going to be bigger than the sum of their parts, or even close to being a big portion of the reason for a team’s success. I think Mushi is a very key element to Fnatic’s success at the Major, but the team can still compete and function without him in the lineup. It gets a lot harder at big LAN events, because he is the player you want to have sitting next to you when you go up against one of the “titans” such as EG or Secret on the main stage, and you go down 0-1. A Mushi-less Fnatic would have no chance to comeback in that situation! With that said, I do expect to see Mushi return before the next Major, the main question moving forward is if we will see 343 or Net remain on the team in the support role. DotaBlast: Do you think Mushi should come back before ESL One Manila? The team has switched roles and is doing very well. Wouldn’t his comeback force them to change what they have been practicing on and potentially mess with their current form? 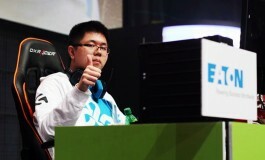 David “GoDz” Parker: I don’t think it’s so big of an issue if Mushi slotted back into the carry role. Net’s a very strong player, but I think having Mushi in that position for the LAN would only increase the team’s expected performance. They wouldn’t have to totally change up their entire system and strategies to accommodate his return, especially if they kept 343 on support drafting. Dj and Ohaiyo have kind of shared the shot-calling responsibilities and that could continue even with the replacement. DotaBlast: ESL One Manila, that you have also been invited to cast, will be the first outing of the new Team Secret roster. Do you consider them the favorites for the event? David “GoDz” Parker: To me, they’re the team everyone will be watching for at the event. 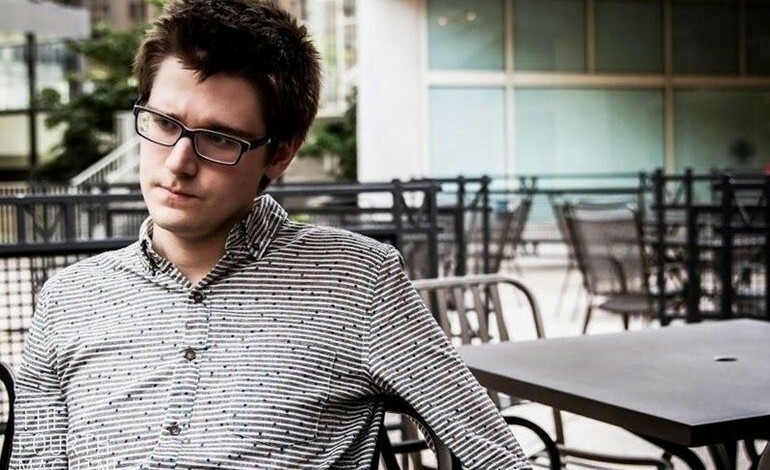 Something Puppey has highlighted in interviews is how there’s always an “adjustment’ period for new rosters that he forms, so maybe they won’t be in peak condition right away, but despite that Secret still remain my favorite for the event, but I wouldn’t be surprised to see a team such as CoL, EHOME, or Liquid upset them. It feels like these dream teams are always a ticking time-bomb for whatever reason. Be that egos, player personality clashes, or maybe just disappointment as soon as those first big losses come in (every team will eventually lose a tournament or match they should have won, and that can lead to internal issues). DotaBlast: What do you think about such star-studded rosters in general? Last time, Secret failed when it really mattered: at TI. Will it be different this time around? Also how do you feel about those unexpected roster changes. Do you like how they were handled? David “GoDz” Parker: Yeah, it’s always tricky, it feels like these dream teams are always a ticking time-bomb for whatever reason. Be that egos, player personality clashes, or maybe just disappointment as soon as those first big losses come in (every team will eventually lose a tournament or match they should have won, and that can lead to internal issues). So my general expectation is that the team will be REALLY dominant, the main question is for how long, and also how will they deal with the losses when they ultimately come their way. I think there was a tremendous amount of pressure because the current roster lock encompassed both the Major and TI6, and there is likely over 20 million dollars in prize money up for grabs during that six-month roster span. Even as the recent Major winner, if there’s a change you think you can do to improve your chances at the coming major and more importantly TI6, it’d be foolish not to make those changes. DotaBlast: How about the teams affected by those changes, EG and DC? How do you feel about them? David “GoDz” Parker: I think EG with ppd as a captain have shown a tremendous ability to adapt and make different rosters work, without some of the obvious star players. The last big reshuffle featured EG picking up Aui (kicked from C9) and SumaiL (NEL/pubstar) and most people had a lot of doubts about the roster, but ultimately EG managed to get great results. For Misery and W33, they find themselves in the trickiest position, because the roster they formed was very much out of haste to just find a team to play the upcoming season with, and it’s a lot harder to be confident about the new DC roster because of that. I think there definitely needs to be improvements in the general infrastructure of the scene, it’s the players’ livelihoods that get messed with in these situations. DotaBlast: You mentioned that DC was created out of haste because of the roster lock. Do you believe the system should be improved? If yes in what ways? Do you like the popular idea of two deadlines, one for dropping players and one for picking them up? David “GoDz” Parker: Yeah, I think there definitely needs to be improvements in the general infrastructure of the scene, it’s the players’ livelihoods that get messed with in these situations. It’s hard to say what the best solution would be, and the one you proposed is definitely one possibility. To me, one of the bigger issues is also just generally the way rosters and contracts work. A professional sports team can’t just “fire” a player, they can put him on the bench and have someone else compete on his behalf, but the original player still collects his salary and has a stable income. Because of the nature of the Dota 2 ecosystem, with majors, TI, and so much prize-money, everything is player-decided and player-run. Even these teams like EG, Alliance, C9 – big esports organizations – the players have full control over roster changes, people getting kicked, and players get left in the dust because of it often. DotaBlast: Thank you for your time! Any shoutouts? David “GoDz” Parker: Big thanks to everyone who has supported me throughout my esports journey, especially my amazing parents and sisters, Emma, Michelle, and Clare. And to the people who follow me: come up and say hi if you see me in Kiev or Manila!